We can talk about lift capacity, digging reach and smooth controls, but if your excavator is not running then you’re not working. Design factors that affect excavator durability are often small and can be easy to overlook — until something breaks. Next to buckets, booms and arms take the brunt of the abuse from excavator work. However, the thickness of the steel used in them varies from manufacturer to manufacturer, as does their warranty protection. I’ve seen costly repairs to booms and arms that aren’t covered under warranty and that could have been prevented by thicker steel. We’ve made a point to have our steel plates ¼-inch thicker than many competitors, and we also cover our boom and arm under a Lifetime Frame and Structure Warranty. A lot of our customers operate their excavators on rough terrain, which is why we emphasize strength in our designs. Whatever excavator you choose, be sure to request information about what protective measures are designed into the upper frame, and more importantly, the lower frame. Look for thick, protective belly guards to protect the driveline hoses and the hydraulic swivel. Check for one-piece deck plates as any splits in the plates at stress points, or insufficient welds, could be costly, especially if not covered under a lifetime guarantee. Reinforced idler frames, standard on Volvo excavators, help prevent the frame from spreading under heavy loads or when traveling downhill. Over time, the joint between the arm and the bucket will wear out. When this happens on a traditional excavator with heavy bosses at the end of the arm, it’s likely the bosses will have to be cut off, replaced, and line-bored to refresh the arm end. To avoid that, look for arms with bolted-on, hardened wear plates instead of bosses. When these get old, the wear plates and the bushings can be replaced, and the arm can be returned to a factory fit in a matter of hours rather than a few days. This is what I mean when I said earlier that small design flaws can be easy to overlook. The seal cover on the slew ring grease bath should be raised above the deck, and tight enough to keep water out, but also easy enough to access on a regular basis to check if water got in. I’ve seen covers that are flush to the deck and make it easier for water to enter. You’ll save yourself headaches for years to come if you check for a strong and accessible seal before you buy. You will also save yourself lots of time by looking to see where the grease zerks for the slew ring are located. 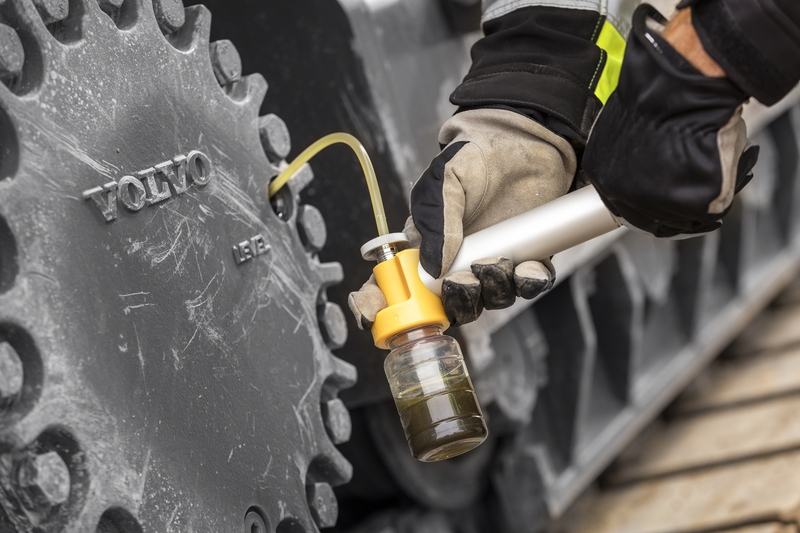 On Volvo excavators, they are grouped at the front of the machine because we understand that nobody wants to crawl under the back of an excavator with a grease gun. Seems obvious that an electrical area should be waterproof, right? Well you’d think so, but I’ve seen electrical harnesses on excavators that are not waterproof. I don’t think I need to explain why that can cause some issues. However, in case there are issues, check to also see if the excavator offers an electrical distribution box with spare fuses, relays and diodes. Volvo places ours where you can reach it from ground level rather than in that cramped area behind the seat. Those are five often overlooked components that I highly recommend you check when judging one excavator’s durability versus another. It may not be a bad idea to print this out, stick it in your pocket and check through them when you’re at the dealership. 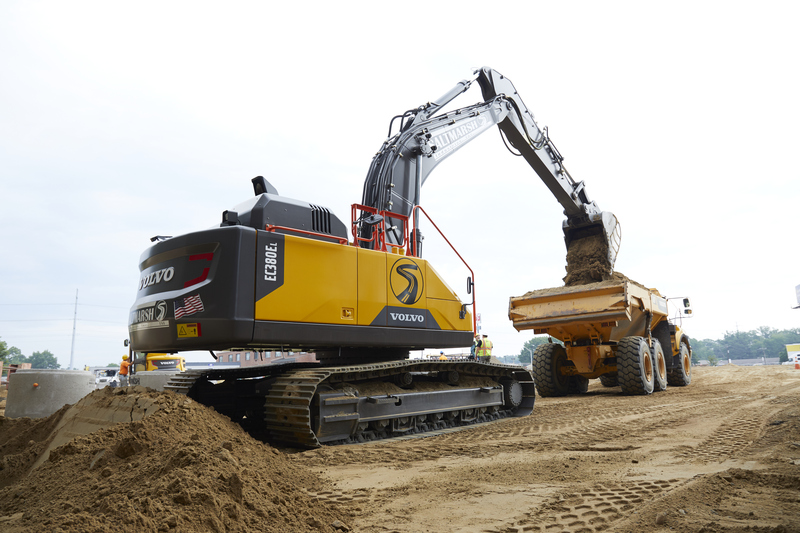 If you want to know more excavator design elements that can affect uptime, check out this article on nine serviceability factors to consider when buying an excavator.